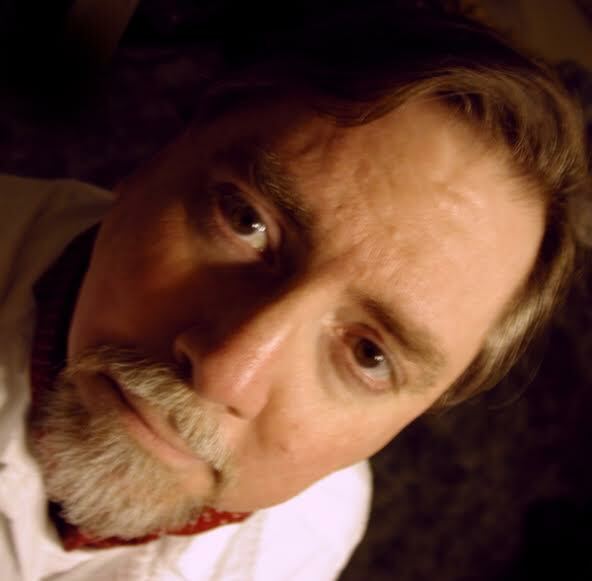 Thom Stark, author of American Sulla, has been a professional writer since 1995. He is best known as a columnist and feature writer for the late, great Boardwatch Magazine. Mr. Stark currently lives in Chillicothe, Ohio, with his wife Judy and their lovable mutts Wanda and Watson. He is hard at work on War – Book Two of American Sulla. Welcome Thom and thank you for joining us today. Firstly a few questions about you and your writing. How long have you been a writer and what inspires you to write? I’ve been a professional writer – which I define as “one who gets paid for it” – since April 1995, when my @internet column debuted in the pages of LAN Times Magazine, a long-since-vanished trade journal for folks who built and supported small business and department-level computer networks. But I’ve known I would eventually become a full-time writer since I finished reading my first novel, Tom Swift Jr. In the Caves of Nuclear Fire, at the age of six. The funny thing is that I was certain my first published book would be a science fiction story. Instead, it turned out to be a political thriller disguised as a disaster novel! As for inspiration, there’s nothing quite as effective as money. The fatter the paycheck, the more I find myself inspired. Unfortunately for my mercenary side, the dotcom implosion of 2002 took my marketplace down with it – and that market is now pretty much gone forever. So, I’ve had to turn to other sources to scratch the authoring itch. For instance, I spent several years working on an academic reference book about Alexander the Great called Plutarch’s Alexander – The Complete Reference. Then my wife was diagnosed with breast cancer (I’m delighted to report that we recently celebrated her fifth year free of cancer since her treatment ended), and my attention immediately shifted to being her primary caregiver. By the time she completed all three phases of treatment, I found I had lost interest in the Alexander project, so I began casting around for something to replace it. I then had the misfortune to develop a rather painful condition called adhesive capsulitis – better known as “frozen shoulder” – from which I spent nearly two years recovering. It made it exquisitely painful for me to use a keyboard, or even read for that matter, so I passed the time watching a lot of movies and trying very hard not to jostle my left arm. Once that passed, I began research on what I planned as a cycle of science fiction novels about the effects of global warming collectively to be known as The Deluge Cycle. As part of the process of worldbuilding for the first book, I began constructing a future history timeline of events that would occur between now and 2053, when the first novel, Deluge, is set. That’s how the story of William Orwell Steele’s presidency came about. 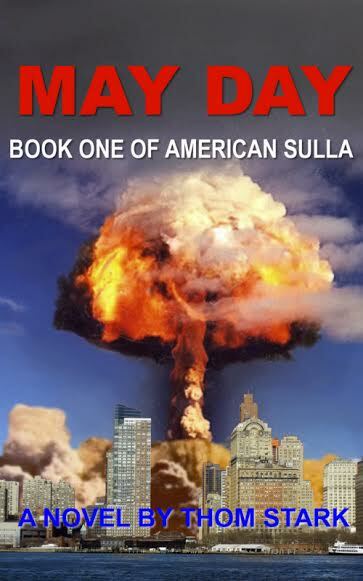 By the time I had fully worked out the consequences of the May Day bombing, it became obvious to me that this was a story that was worthy of a stand-alone novel itself – and, since the events of American Sulla begin in 2020, it was a more urgent project for me to complete than is The Deluge Cycle. Of course there’s more to it than that. American Sulla itself was more than a little bit inspired by the social and political changes in America and the world in the wake of the 9/11 attacks. I was horrified by my country’s blind, panicked rush to toss its constitutional freedoms into the garbage bin in a foolish and foredoomed quest for the illusion of marginally-enhanced security, and I was particularly appalled at the blatant manipulation of the public, the press, the courts, and our cowardly, ovine legislature by a thoroughly-corrupt administration. For more than a decade, I had heard people insist that “things would have been different”, if our Supreme Court had not awarded the 2000 presidential election to George Bush, and that really was the genesis of the character of William Orwell Steele: a president who is a liberal Democrat, with a degree in history, rather than a conservative Republican with an oil business background. Do you have any formal writing training? If so what and where was it acquired? Yes and no. I took a creative writing course in my senior year in high school, but I put only a bare minimum of effort into it. However, writing for the computer trade press was enormously useful in sharpening my skills as a writer. Most importantly, it introduced me to the indispensibilty of editors. As painful as that process can be, working with an editor helps me to focus on the weaknesses of my writing, rather than its strengths. Your friends and family are there for you, if you’re merely interested in praise. If, however, you want to actually improve your writing, you need a good editor to provide the steely, trained oversight and correction that will make your prose really shine. Who has had the greatest influence on your writing and why? There are so many writers I could point to that it’s pointless even to attempt a list. In the case of American Sulla, for instance, my storytelling style is a blend of techniques I stole from Thomas Harris, author of The Silence of the Lambs, and Harry Turtledove, the master of alternate history. From Harris, I took the device of short, breathless chapters, each of which ends in a cliffhanger. From Turtledove, I appropriated the use of a large, socially-diverse cast to show the effects of world-shaking events on ordinary people. But the greatest single influence on me as a writer is undoubtedly the late, great Robert A. Heinlein, the Dean of American science fiction. I got hooked on his work shortly after I turned seven years old, and he’s always represented the gold standard of storytelling to me. I’m especially in awe of what I call his “holographic setting” technique: rather than bringing the tale to a screeching halt in order to describe the world in which a story is set, Heinlein would, instead, casually drop a telling detail into his narrative, leaving the reader to fill in the rest of the picture from her own imagination. The great Marshall McLuhan distinguished between “cool” media, such as TV and movies, where the medium itself does most of the work of imagining and the consumer simply sits back and is entertained, and “hot” media, like radio and print, where the audience actively has to employ its own imagination to fill in the details of the world in which the story takes place. Holographic setting turns the innately-hot medium of prose all the way up. I doubt the late Elmore Leonard was aware of it, but his work, to choose an example with which many of your readers are likely to be familiar, is all about holographic setting, with its tagless dialogue and his relentless insistence on never physically describing his characters. I’m not as extreme an advocate of holographic setting as Leonard was, but it’s definitely a strong influence on me. Do you believe that writers are born or trained and why do you think this? Well, writers can be trained, of course. Most of us can even learn to use the toilet without assistance. But I think all truly great writers are born to the task. Whether the words pour out of your fingers and onto the page, or you sculpt each sentence like a Michaelangelo of words, to become one of the greats, it has to be something you need to do. If it’s just a job, you’ll always be a craftsman – perhaps, eventually, a master craftsman – but you’ll never be a true artist. No, and sort of. Something a lot of non-writers don’t realize is that, when a writer is working on a major project, he’s writing all the time. A lot of that work may, to the untrained eye, look like staring off into the distance, or walking the dog, or browsing the Web. But it’s all part of the process. I, personally, don’t actually write a syllable until I’m absolutely confident about what I want to say and how I want to say it. In the case of my current novel, American Sulla, I first have to decide what will happen in the next chapter and which character or characters will be involved. Then, I craft an opening line and a finishing hook. After that, the chapter pretty much writes itself. What I don’t do is to outline or map out each chapter in advance. I’ve tried that approach, and it just doesn’t work for me. Nor do I force myself to write every day. In the end, when what the story and the characters demand finally dawns on me, I just end up scrapping the stuff I’ve written out of a sense of obligation, so I’ve quit doing that. That’s not to say that I simply sit around wating for inspiration to strike. For one thing, I do a lot of research to ensure that every detail I mention is as accurate as my resources allow. At the moment, it’s about three hours of research for every hour I spend actually typing. About three-fifths of the way through the volume I’m currently writing, I suspect that’ll go up to five hours to one. For another, I spend way more time than I’d like promoting and marketing my work. That’s an inescapable evil for an indie writer, but I’ll admit that I resent every second I spend pimping what I’ve already written, instead of creating new prose. What does your perfect writing environment look like? I write on a second-hand laptop, sitting in my Lane recliner in our living room, with our pups curled up on the heap of bedding we call Doggie Island for company. I require silence and isolation to write successfully, so, ideally, that living room would be located somewhere out in the country, without traffic or sirens or passersby to distract me. At the beginning of this century, we spent three years living on five-and-a-quarter acres of oak trees and granite boulders, five miles outside of Bootjack, California, in the foothills of the Sierra Nevada, and that was fabulous for me. I marvel at writers who do their work in public places, surrounded by people, or with music or video playing in their workspace. That would drive me bonkers. Solitude, silence, and a fast Internet connection is what I need. I’m given to understand that American Sulla is considered a part of what’s known as “SHTF” fiction. That’s “Stuff Hits The Fan” – except the first word isn’t “stuff”. I like to think of it as a political thriller, like Michael Dobbs’s House of Cards or the kind of stories the late Alan Drury used to write, but it has a strong admixture of techno-thriller, à la Tom Clancy. It’s funny you should ask. As it turns out, the prime audience for SHTF fiction leans pretty far to the right, politically speaking. Since the protagonist of American Sulla is a liberal Democrat, that’s led to some extremely negative reviews by fans of the genre. They complain about what they call “stereotypes”, even though many of them also mention that the story is well-written. Purely literary critics tend to be considerably more positive, however. How do you engage your readers? As I mentioned earlier, I try to keep my chapters short. Some of them are less than a page long. And I try to end each one on some kind of cliffhanger. I include characters from all walks of life, so every reader should find at least one character with which they can identify. And I’m painting on a really epic-scale canvas, chronicling events that change the course of history, and affect every aspect of life for virtually everyone on the planet. What marketing tools do you utilize and how? How did you conduct your research for your book, May Day - Book One of American Sulla? I did virtually all my research via the Internet. I’d’ve liked to be able to physically visit Washington DC, and other locations that appear in the book, so as to be able to gather first-hand impressions and the little details that would give my descriptions the kind of verisimilitude that actually having been there provides – but I didn’t and don’t have the budget for that. Nonetheless, if you’re careful – for which read “skeptical” – enough, the ‘net is just lousy with first-rate resources. I credit many of them in the author’s foreword to May Day, but, in general, I try to find at least two citations for every detail I mention. I’ll often start with Wikipedia, for instance, but I insist on a corroborating source. For details of places like the Oval Office, the floor of the Senate Chamber, the Dakota and so on, I search for high-resolution photos, and study them closely. For military unit designations, I try, whenever possible, to use resources provided by that particular branch of the service, and so on. Google Earth both, to get a feel for the siting of the building and what might be visible from the CEO’s office. Again on the Lloyds’s site, I found a recruitment video for interns that featured the current CEO, which featured a blurry view out his window. From that, I was able to determine that the Deutsche Bank building was visible in the background, across Leadenhall Street, and that the Gherkin ought also to be visible, even though it was out of frame in the video. Researching the peerage, I found the title Baronet Balfour of Sheffield is currently vacant, so I awarded it to Sir Cyril. Once I came up with his bespoke Newton’s Cradle as a framing device, the chapter practically wrote itself – although the bit about picosecond laser blasts creating a matte black finish on polished metals was pure serendipity. I just happened across a science article announcing the discovery of the process. I did some research on British slang, as well, in an effort to make Sir Cyril’s use of it as authentic and appropriate to his station as I could. All in all, it took about four hours to track all that information down – and perhaps an hour to write the chapter itself. Can you tell us why you chose the style in which it is written? Basically, I wanted to grab the reader by the throat from the first chapter, and hold on like a pit bull straight through to the end. My overriding goal was to keep my audience turning pages, right up until there were no more pages left to turn. Do you have a review that you have received that you would like to share? “This is a book that makes me wish I still belonged to a book club, because I desperately want to talk about it for hours. It's the type of book that makes me wish the others in the three-book set are complete, because I really want to immerse myself in the story once again. It's the type of book that also makes me wish I could give it more than five stars because my enjoyment of this book goes way beyond, well... enjoyment. I finished reading the book a day ago, but I can't get it off my mind. I feel deeply affected by not only the story, but by the questions raised within the pages of this well-written book. How important are reviews to you? Extremely. Reviews from readers who base their judgement on the merits of the story as a story are priceless. I think Tom Clancy was a reactionary nitwit, politically speaking, but I thoroughly enjoyed The Hunt for Red October, because it was a cracking good story. I’ve mentioned how much I admire Robert A. Heinlein’s fiction, and how much of an influence his storytelling has exerted on my own – but, politically speaking, we could hardly be more different. In fact, that’s true of many of my favorite science fiction writers. The ones who have an engineering or science background tend to fall into the Libertarian or Objectivist camp – those philosophies are anathema to me – but I only care about whether they deliver the literary goods or not. And Iain M. Banks was a Communist, but I loved his work, and I consider his death from cancer earlier this year as a terrible loss to both the science fiction world and the larger literary universe, alike, even though I think Communism is as unworkable and generally idiotic as is Libertarianism. When can we expect to see Book Two released, and can you give a sneak insight into what we can expect? I’m hopeful that I can complete War – Book Two of American Sulla by mid-2015. I’ve had to deal with a number of severe distractions the first part of this year (the death of my mother from pneumonia and our bulldog Wally’s death from cancer among them), and that’s put me a good way behind my admittely-optimistic original schedule. But I’m hoping to regain some of that lost ground in the near future. We’ll just have to see. War opens with a drone strike that results in the deaths of innocent children. The political fallout from that event impacts President Steele’s support in Congress, sparks widespread demonstrations, and leads to the resignation of one of his closest advisors. The world economy continues to crumble, causing spiraling international tensions. Meanwhile, the USA gears up for war against the perpetrators of the May Day attack, as continued militia rebellions, and the government’s harsh reprisals against them loom over the Presidential election of 2020, and the political fate of William Orwell Steele. Thom it has been a great chatting with you today. I am currently 80% through reading May Day and I am purposefully reading it slowly and thoroughly so that I do not miss anything. Rukia followers my review of May Day will appear on the book review page shortly. Thank you Thom for your time and participation. Thank you, Sarah. You’ve made it a pleasure for me!